Vella, L.B. Da Silva, T. Souza De Silveira, C. Abela (M.P. Camilleri), D. Farrugia, L. Tabone, M.J. Barbosa, D.M. Bustos, S. Attard (I. Xuereb), J. Buttigieg (J. Parnis), Y.DJ. Messias. Naumovski, S.A. Chapoval, M. Guillaumier, M. Andelkovic, P. Fenech, P. Orlandic, K. Zammit (T. Agius), E. Ferreira Dos Santos, M. Mifsud (C.A. Rodriguez), C. Attard, M. Franca De Siqueira (M. Beerman). 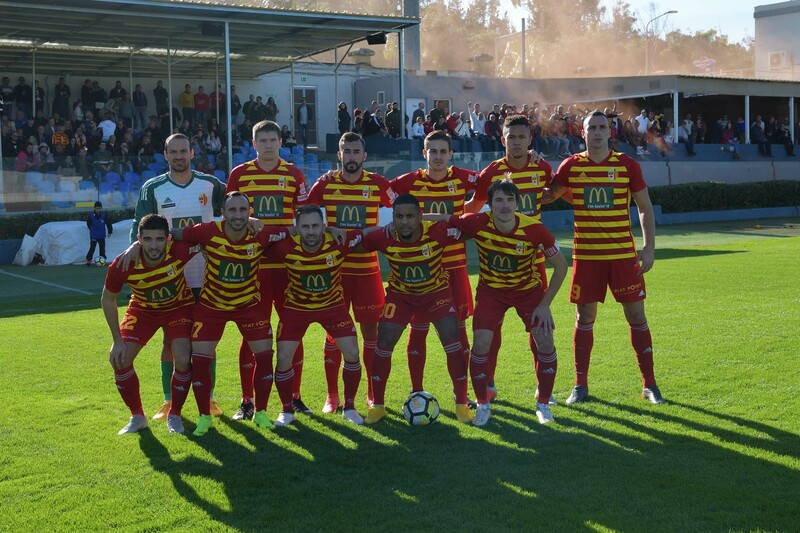 Premier Division side Birkirkara lived up to the expectation in the match from the third round of The Malta FA Trophy at the Gozo Stadium against Gozitan side Nadur Youngsters and produced an excellent performance to earn a comfortable qualification to the next stage of the competition. Birkirkara held command of play throughout the encounter and clinched the win with two goals scored in each half. 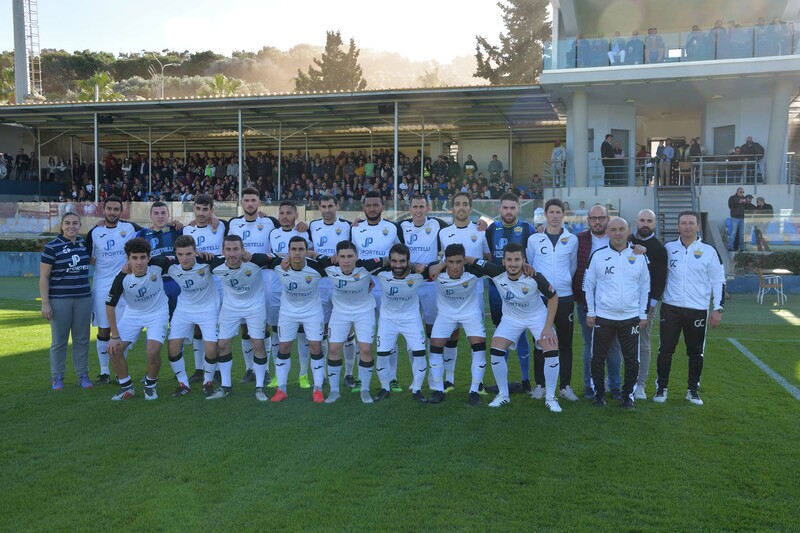 The visitors managed to keep control of Nadur’s strikers and practically never concede any opportunity to the host to be in contention for the qualification. Nadur, who are currently aiming to be among the challengers for the Gozitan championship, entered the field with some hope to surprise their more quoted opponents. They had a defensive deployment that was quite effective during the first part but as soon as Nadur conceded the first goal they became demoralised and failed to produce a reaction. Birkirkara as expected took territorial supremacy from the early stages. In the fifth minute of play Birkirkara’s Petar Orlandic headed over the crossbar from a good position following a cross by Michael Mifsud and on 11 minutes a shot from outside the area by Matthew Guillaumier ended just high. Nadur produced their best scoring opportunity on 14 minutes when Shaun Attard released Yuri De Jesus Messias who entered the area but ended on the floor following a challenge with Cain Attard and the defence cleared the danger among protests for a penalty by Nadur’s players. One minute later Birkirkara’s Marcelo Franca De Sequeira had a strike that was saved to a corner by goalie Franklin Vella and from the resultant corner action Paul Fenech’s attempt ended wide. On 20 minutes Birkirkara’s Petar Orlandic had a shot from a good position that missed the target and three minutes later Nadur’s marcelo Barbosa had a weak attempt following a perosnala ction that was easily neutralised by goalie Kristijan Naumovski. On 24 minutes Nadur risked when defender Carlo Abela’s back pass was almost taken by Petar Orlandic but goalie Franklin Vella arrived on the ball in time to clear the ball away from the danger area. 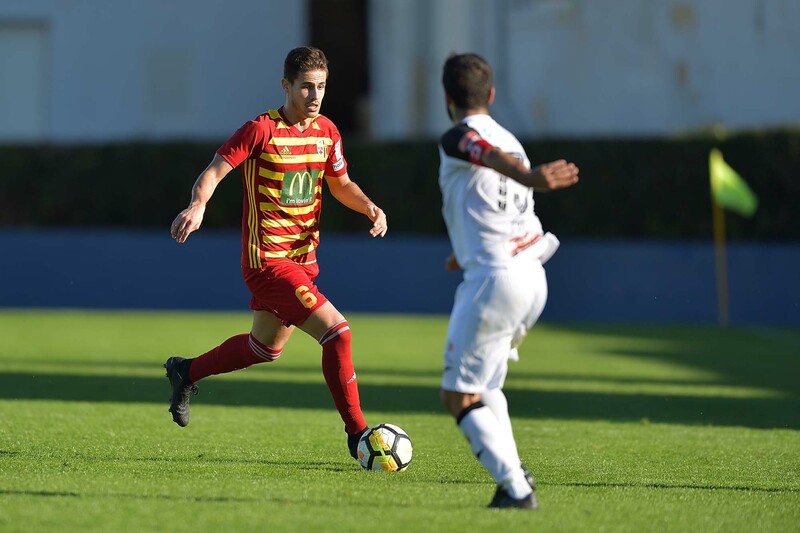 Birkirkara however opened the score on 28 minutes when Nadur’s defence cleared badly a corner action and Marcelo Franca De Siqueira took the ball and from his cross Danilo Augusto Chapoval headed easily in goal form close distance. Two minutes later the visitors doubled the score through a low shot by Marcelo Franca De Siqueira following a cross by Michael Mifsud. Nadur replied on 32 minutes when Marcelo Barbosa hit badly in an attempt to lob over Birkirkara’s goalie Kristijan Naumovski and the ball ended over the crossbar. On 41 minutes Birkirkara almost added another goal when a shot by Michael Mifsud following a corner action was cleared off the line by Shaun Attard with the goalkeeper beaten with the aid of the post. On 43 minutes Birkirkara’s goalie was well placed to save a free kick by Nadur’s Yuri De Jesus Messias and one minute later Birkirkara were again dangerous through an effort by Michael Mifsud that was partially saved by the goalkeeper and the defence cleared the ball from the area to a corner. 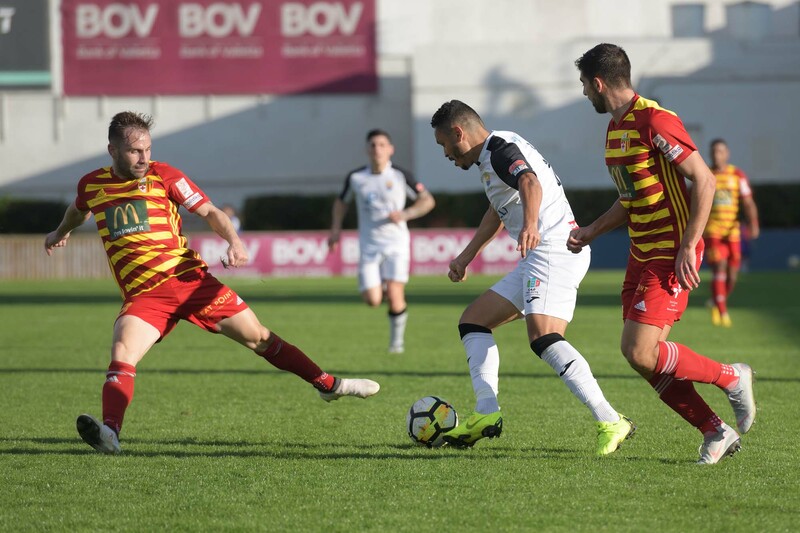 In the fifth minute of play of the second period Birkirkara scored their third goal through a close ranged header by Petar Orlandic following a cross from the right flank by Cain Attard that surprised Nadur’s defence. Three minutes later Nadur operated a good move through Daniel Matteo Bustos who crossed from the right flank but the acrobatic finish by Yuri De Jesus Messias ended wide. Birkirkara scored their fourth goal on 62 minutes when Paul Fenech took the ball from the midfield and surprised goalie Franklin Vella with an excellent strike from long distance. 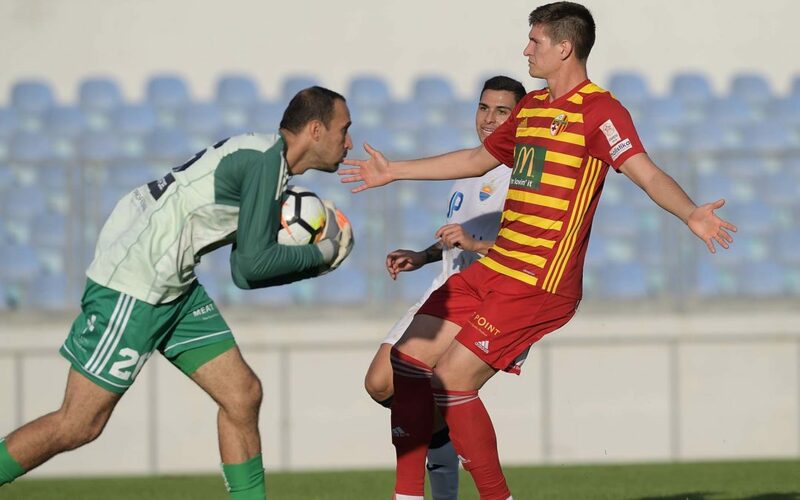 On 75 minutes Birkirkara’s goalie Naumovski was again called to neutralise without difficulty an effort by Yuri De Jesus Messias and two minutes later Matthew Guillaumier fired a shot from outside Nadur’s area but the ball hit the post and bounced on goalie Franklin Vella so that the action ended in a corner. 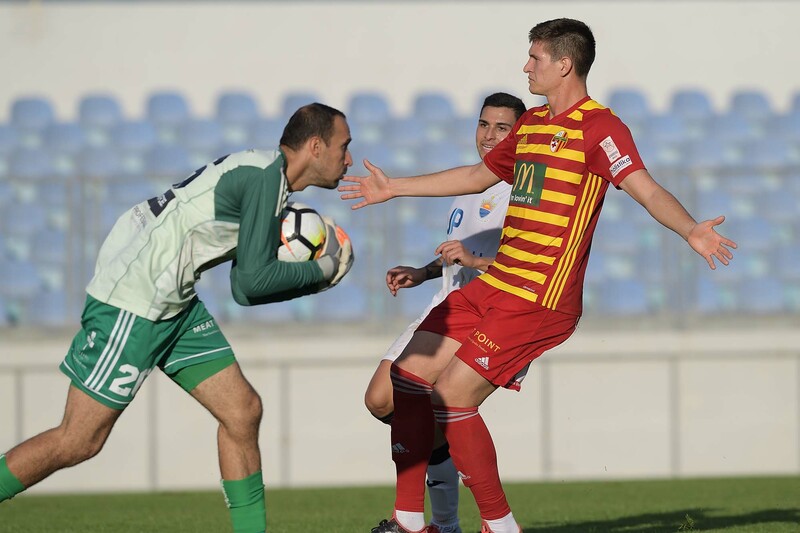 Nadur’s keeper denied Birkirkara from adding another goal on 79 minutes when he blocked a close ranged header by Danilo Augusto Chapoval following a corner kick by substitute Carlos Alberto Rodriguez. Minutes later Birkirkara’s substitute Myles Beerman hit badly from a good position so that the ball ended wide and on 87 minutes Nadur’s Marcelo Barbosa entered Birkirkara’s area but concluded badly so that the ball ended high.